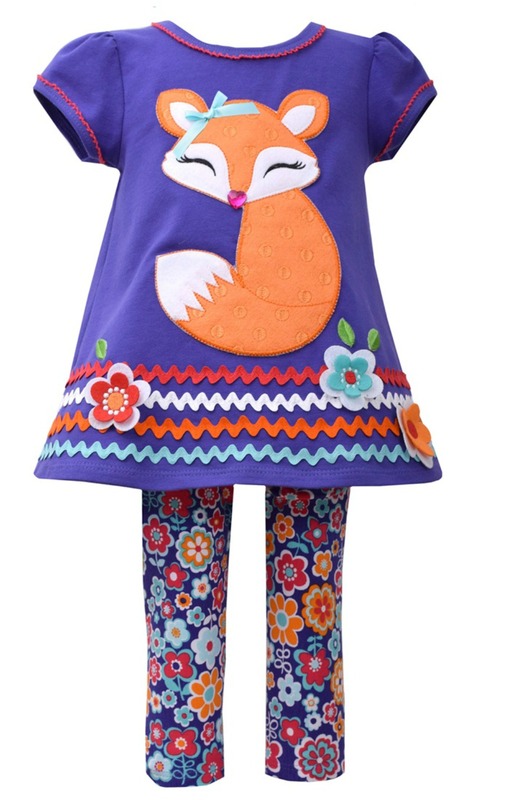 Adorable tunic legging set by Bonnie Jean features large fox applique on tunic with floral cotton stretch leggings. Machine wash. Imported.